It's an easy, two-step process to download any GIS point, polyline, or polygon layer in SHP format to your Lowrance GPS receiver with ExpertGPS Pro. Take any ArcGIS file and create gps waypoints and tracklogs from your GIS layers that you can send to any Lowrance GPS receiver for use in the field. 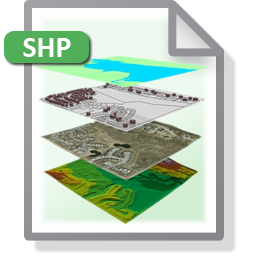 The best way to transfer ArcView shapefiles or other GIS data to your Lowrance GPS receiver is to import your SHP into ExpertGPS mapping software, using Import on the File menu. You can then click Send to GPS to download your SHP data to your Lowrance GPS receiver. ExpertGPS Pro automatically reprojects your GIS data from UTM, state plane coordinates, or any other projection into your Lowrance GPS receiver's native format (latitude and longitude in WGS84 datum) and creates waypoints and tracklogs to guide you out in the field. ExpertGPS gives you the ability to quickly transfer any of your GIS data to your Lowrance GPS. With ExpertGPS, you'll be able to update features by marking GPS waypoints on your next site visit and uploading your Lowrance GPS data back to your GIS software.